Retail Price: $21.99 Log in for LOWEST PRICE! 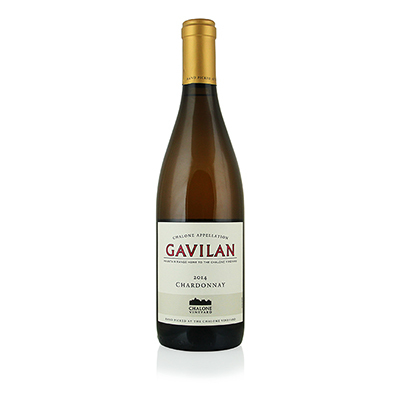 Gavilan is produced by the Chalone Vineyard and is named after the mountain range in its midst. Chalone is one of the most iconic wineries in California. Its history and its place in the wine world is almost unmatched. The grapevines were planted here in 1919, in what would later become the Chalone Appellation. Most unique is that Chalone is the only winery in the appellation. I don't believe there are any other wineries with their own appellation in California. There are very few in the world. At one time, you could only get Chalone wines if you were on the mailing list. That's when there were a couple of hundred wineries in California. With over 4,000 today, things are quite different. Fortunately, what has remained the same is the quality of the wine. They haven't skipped a beat. Their 254-acre vineyard is mostly Chardonnay and Pinot Noir. As the vines are replanted, the new plantings go into the Gavilan label. They are almost 10 years old before they are used on the Chalone label. The unique soil of this very special place is still apparent in our selection. Chalone has always been known for understated majesty and longevity. It is one of a handful of Chardonnays that can taste better with 20 years of age. The breeding and history of this great property shows through, from the elegant nose of spiced apple to the silky texture and poised, graceful finish.